Why was the name “HOUDINI” chosen for the Marrol’s Hotel restaurant? Let’s go back a few years in the past. It’s April 2003. Marrol’s Hotel is first opening its doors to guests. Its style literally takes the breath of its visitors away through its subtle dignity, chic atmosphere and stylish elegance drawn from elements from the first half of the last century. The hotel’s slogan, Living in Style, seals the reputation of the hotel’s atmosphere. Among the jewels of the hotel, the Messina Restaurant is undoubtedly one of the most beautifully furnished restaurants in Slovakia. In 2009, the Messina Restaurant receives the prestigious Gurman AWARD for hotel restaurant of the year. The exterior of the hotel is changing as the life of the hotel is adapted to the changing requirements of its guests. And it was our guests that served as the impulse leading us to implement these changes. Head Chef Michal Škrabák, an ambitious young man with an infectious smile lives his dream every day, devoting himself to the things that fulfil him as he creates surprises on every plate. He’s designed a new menu, inspired by his dreams to pursue a variety of novel culinary ideas. He literally creates something magical through the combination of the flavours of his meals paired with the beauty of perfect wines. Every dining experience is fall of modest, but compelling, charms and miracles. And here we come at last to the answer of our initial question: Why have we chosen the name HOUDINI for the Marrol’s Hotel restaurant? Harry Houdini – the actor, film producer, and amateur aviator known mostly for his role as a magician – was a Hungarian native who lived in the US after his parents emigrated during his childhood. Through his incredible disappearances, for example, by escaping from a vault locked inside of a Siberian prison car while restrained in metal shackles from Scotland Yard, Harry Houdini fascinated audiences on his journeys to England, the Netherlands, Germany, Russia and at home in America. Harry Houdini’s magic forms the undertones of the culinary wonders that Michael Škrabák has created for our guests. 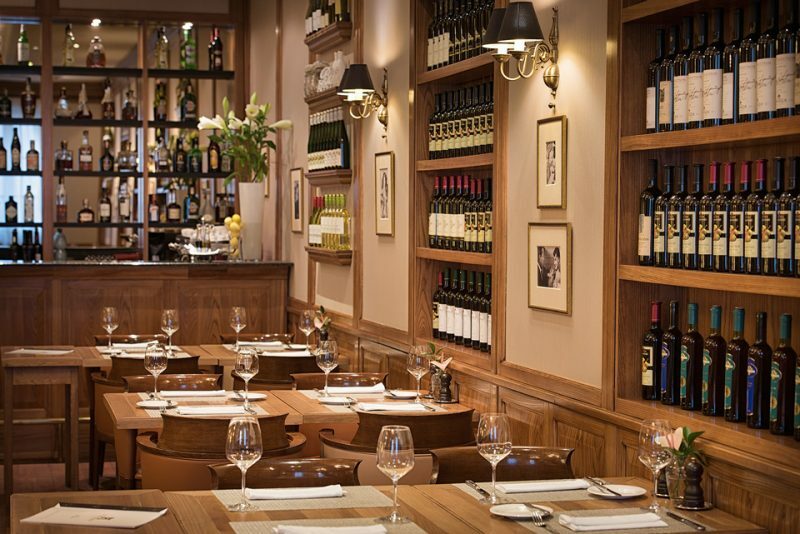 Therefore, the new concept of the restaurant also comes with a new slogan: The magic of wine. The art of taste. 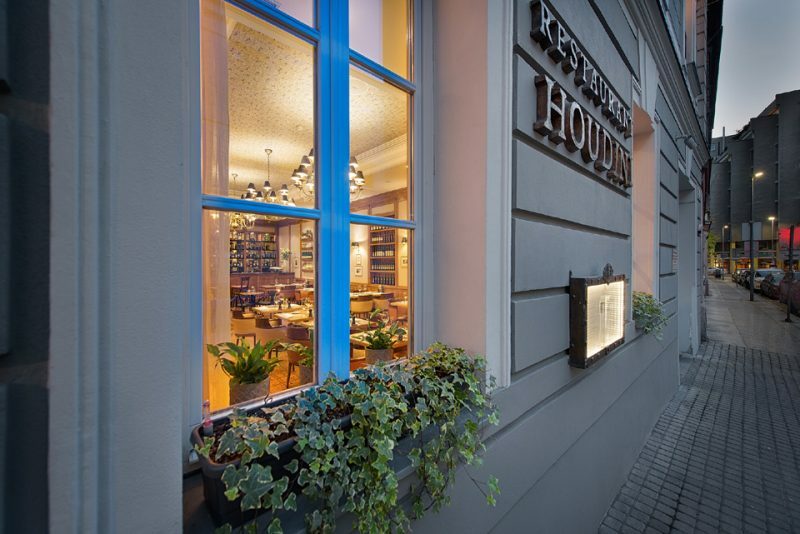 And finally, the magic of the wine and the art of the flavours drawn from Harry Houdini’s magical acts are enhanced by the interior charm created by hotel architect Zuznana Cambelová, the author of the hotel’s entire interior design from concept to creation. Restaurant is closed from 15:00 until 18:00 every day.